Happy Halloween, everyone! It's Darsie here, and I just love, love, love Halloween! 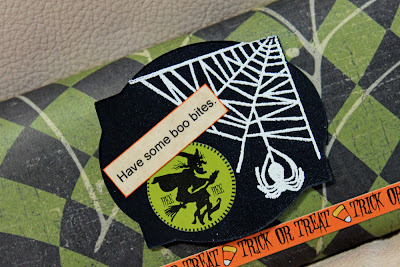 There are so many fun ways to create with diecuts, and today I chose to make spooky candy boxes using the Coffin box diecut! 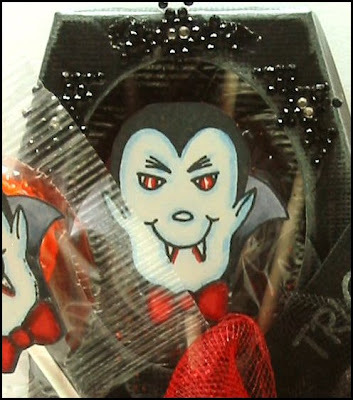 For this coffin candy box, I cut an oval out of the coffin lid, then embossed it with an embossing folder from Quickutz. I swiped Brilliance White ink over the entire coffin lid and base to give it that "aged stone" look. I accented the coffin with some sparkly red and black tulle, and an adorable Dracula image by Repeat Impressions which I glued to lollipops! I added a few rhinestone bats, and I was finished! My next candy box was more on the simple side! 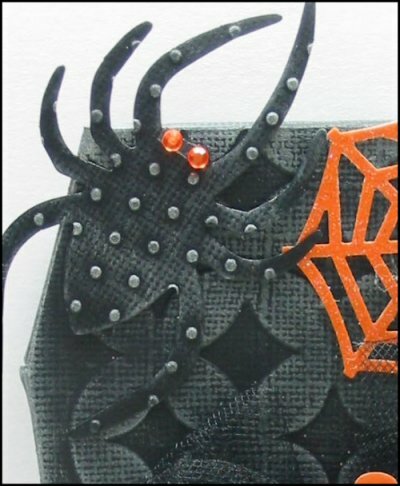 I added the Small Spider diecut, which I had embossed with a Swiss Dots Folder. I also embossed the lid, same as above, and aged it with the Brilliance White ink. My spider web is from a Martha Stewart punch. 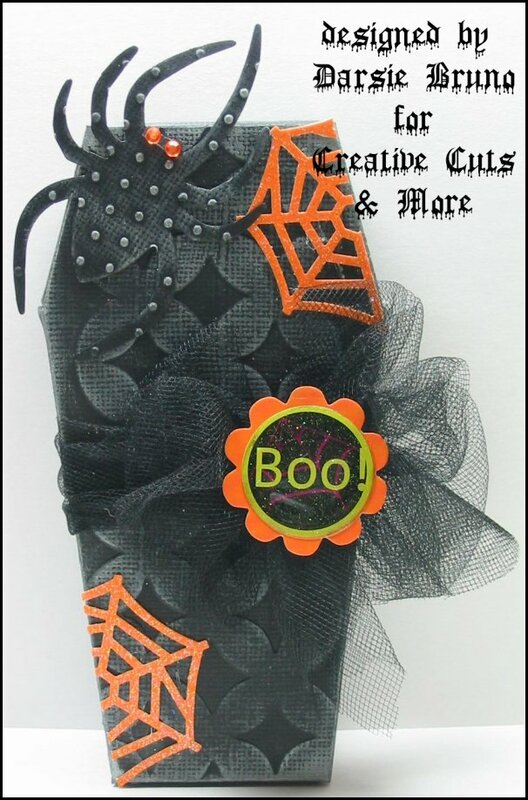 I added a few rhinestones for eyes on the spider, a sticker for the sentiment, a big fluffy tulle bow and I was done! Hello everyone! It's Noelle posting today! It's finally fall in the Denver area! Beautiful leaves every where and the kids are going to get to go Trick-Or-Treat without the snow falling! 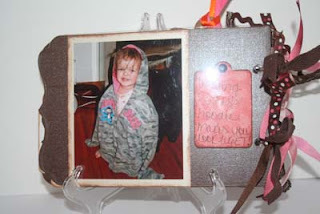 Have you tried this Apron Pocket A7 Card yet? It is one of my FAVORITES! It's not just a card! 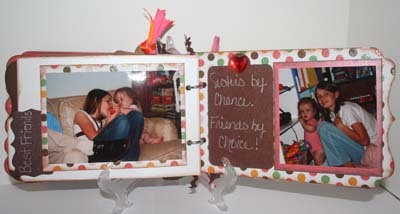 You can make it into an album of your choice or try our Holiday Treats Apron Recipe Kit! 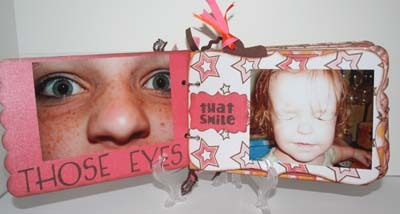 I am making another mini album using the Unity Homemade By stamps. The ribbon is from my stash. 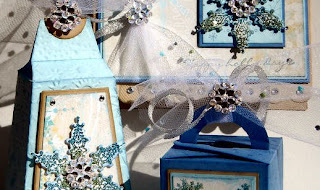 I am pretty sure the polka dot is from Creative Impressions and the lace is from JoAnn's. It was super easy to attach using the Killer White Tear-able Tacky Tape! Honestly, the whole thing took me less than 30 minutes! You can't really tell but on the stamp I used a gelly roll pen and some glossy accents! Super fun and easy, that's how I like it! Thanks for stopping by today! Good Morning! After making several girly pink baby ensembles, I had to do a set for the boys. This set would be perfect for a baby shower or gift ensemble for a new mom. I couldn't resist this Jungle themed paper by Reminisce "The Wild". And I loved that the colors were non-traditional. 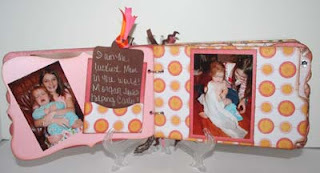 I love this A7 Scalloped Card! 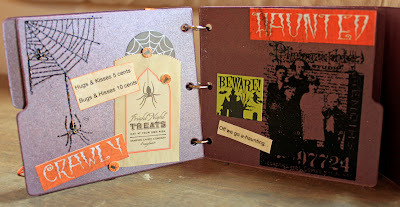 I used a Clear and Simple stamp set on all of these projects. That's it for today. Stay tuned to the Die Cut Diva Blog for great CCM project idea's! 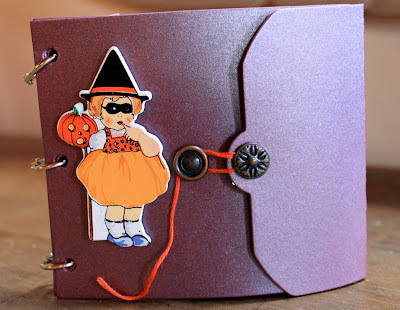 Kim here again today to share a super simple Halloween Candy Bar Cover! A couple of years ago, someone gave me a "custom" wrapped candy bar & of course I thought to myself, "I can do that!" And so can you!!! 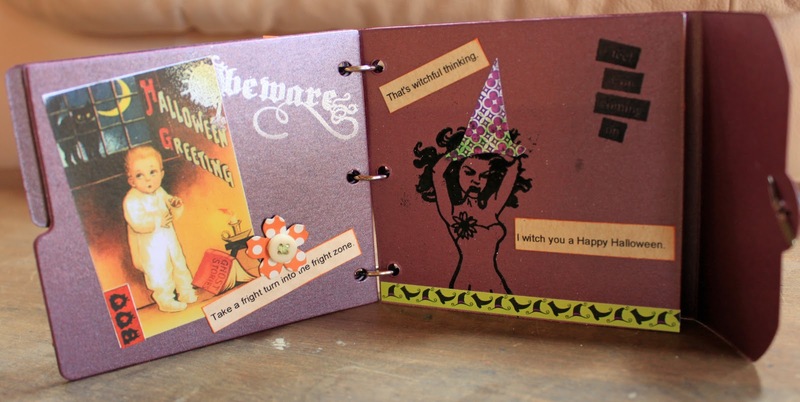 I simply covered the bar with some fun, spooky paper; added a Halloween border sticker along the bottom. Then I embossed the spider web onto the Petite Vintage Label, added the witch sticker a little saying! 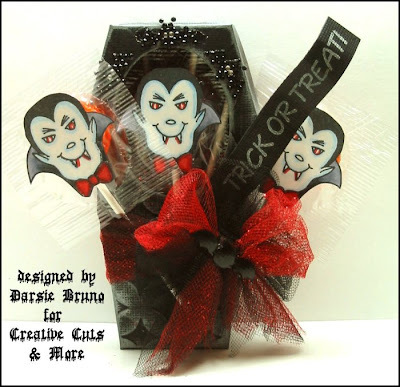 A perfect little treat for a teacher or a special neighborhood ghoul!! Don't forget to check out the Creative Cuts & More website for 100's of dies for all your holiday projects!! Both of these cards were so easy because I combined them with Jolee's sticker products. I just love this wreath and if fit the window perfectly. 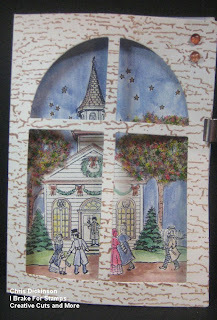 And the little Autumn sign hanging in the window is just perfect for a window card. as well. The window cards are so much fun to embellish. 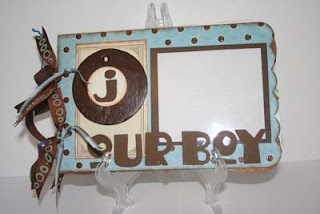 I added a few other Creative Cuts and More dies to this one. ﻿I hope you are enjoying fall as well! See ya on Friday with another post! "We interrupt our regularly scheduled program... "
I know that on my to last post on the Die Cut Divas Blog I said that I would unveil the rest of this album on the 21st. But since we have a BLOG HOP on the 20th, Terry asked me to change my regularly scheduled post so that more people can enjoy our Thanksgiving & Christmas ideas next week! Here is the cover again. I used the Pennant Album in acetate. The great thing about ordering albums (or ANYTHING) Creative Cuts & More is that you can order in any color, material & number of pages you want!! For this, I ordered 6 clear pages to play with. Then I ordered tons of Birthday-related dies in the kraft color because I knew that I could always alter them with inks & Glimmer Mists! Can you see the shape it's taking when fully opened?? Ta Da! Instead of a traditional binding at the side, I punched my hole along the tips of the banner & used a binding post to attach them (this album come without any holes punched so that you can put them where you want them). It opens really easily into this flower. I tried not to make the pages too bulky so that it would open nicely! I cut apart 2 identical cupcakes for the above effect. I embossed & inked the lower part of the cupcake & Glimmer Misted the top portion to look like chocolate. Next I glimmered the balloon & used stickles to write the 16 & highlight the cupcake. You can see this cute Shopping Bag (coming soon) through the front. I LOVE this little bag! I placed a couple of pieces of paper inside to resemble tissue, added a shipping tag to pull out for journaling & TINY jewelry tag that says "for you." Party Hats & Gifts coming soon! covered the presents with paper & stickled the bows. the one in the middle has strawberry paper surrounded by the other "chocolate" layers! YUM! 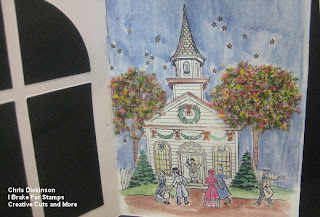 Thanksgiving & Christmas Idea Hop! 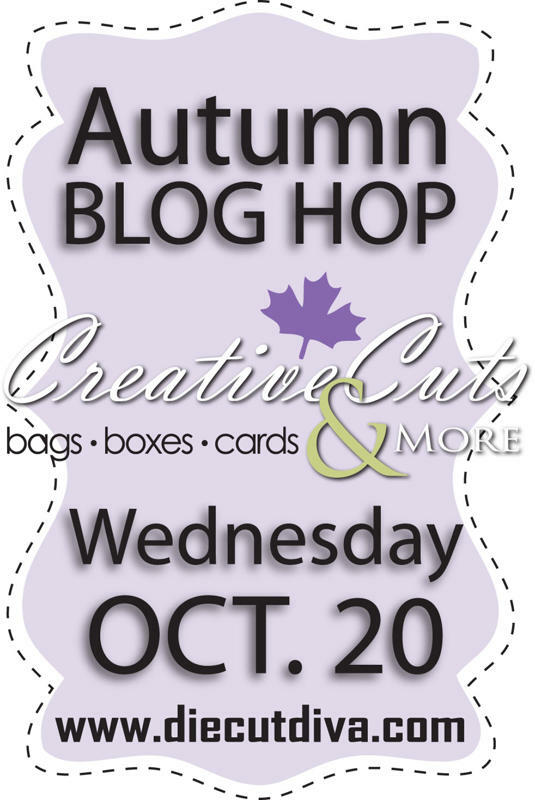 Welcome to the October Autumn Blog Hop for Creative Cuts and More! We are so glad you are here! 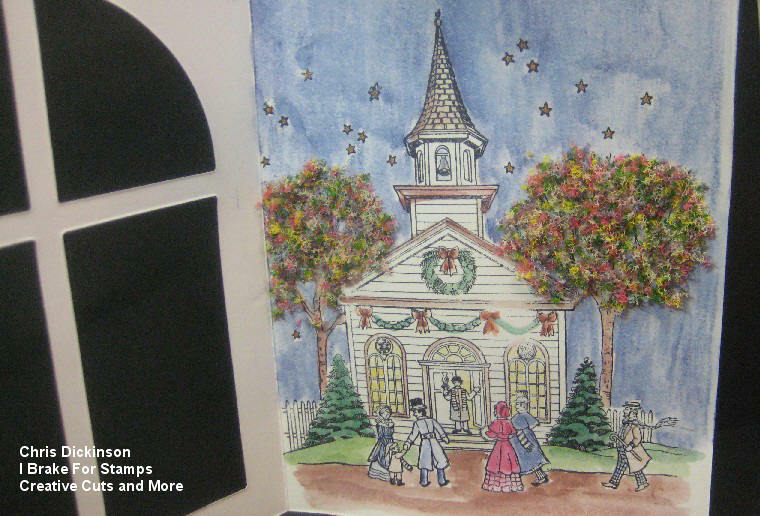 Our Designers are very excited to share some fall, Thanksgiving and Christmas ideas with you. This wonderful ideas are PERFECT for your Fall and Holiday season! 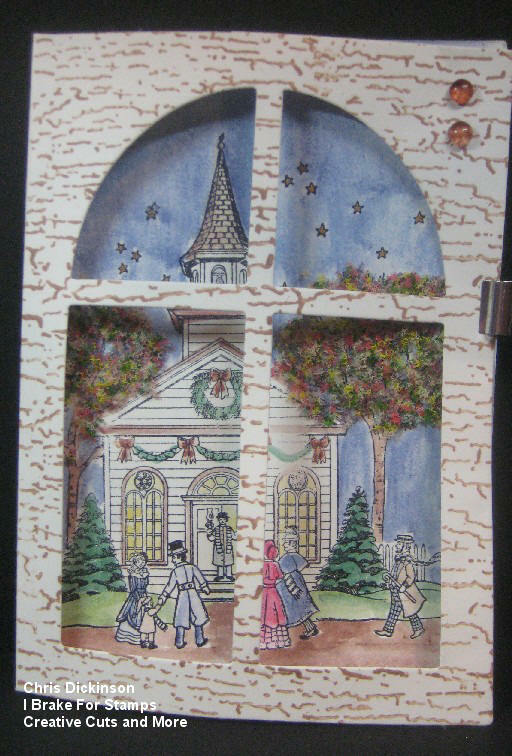 The project that is shared below is the beautiful Arch Window A6 Card for the rest of the details - hop through the Blog Hop and Chris will have them there! Thank you for stopping by! HAPPY HOPPING! I love to get out all of my fall decorations & mix them up with a ton of little Halloween TREASURES, like this little mini-album I put together using the 4X4 ALBUM & TAB WRAP COVER in the Stardream Shimmer Metallics RUBY color (which is a very pretty purple-red!) with some fun stickers, stamps & quotes! I have several of these little books all over my house & I love to flip through them now & again! 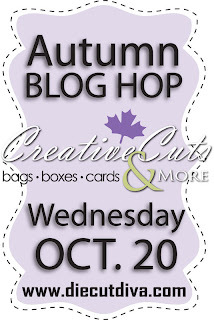 Hope to you tomorrow for the big Autumn Blog Hop!! I am just loving this fall weather here in TX these days. It was a long time coming, but now we have those wonderful cool mornings and cool evenings to offset the warm afternoons each day. Now's the time for hay rides, apple-picking, pumpkin carving, and watching the leaves change color. 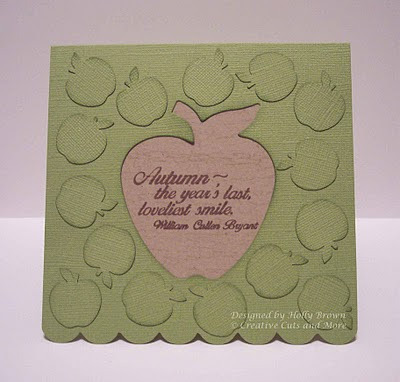 For my creation today, I wanted to use the apple die cut card from Creative Cuts and More and have it shout "autumn." I used the Mono Dies technique from Technique Junkies on the front of this card. The smaller apples are from a Martha Stewart punch, and they coordinate perfectly with all the apple die cuts from Creative Cuts and More. For the sentiment, I used a small square of kraft cardstock, stamped the sentiment with brown ink, and then stamped Holly's Tattered Background with Versamark ink over the sentiment. That background gives the kraft cardstock a sort of cracked bark, woodsy feel. Hi everyone! My project today uses the Milk Carton with Snowflake #4 Large and Snowflake #4 Small. I had a lot of fun creating this treat box for a friend! 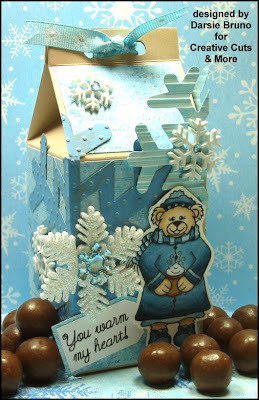 Using the color story for the Play Date Cafe Challenge (read below for Lisa's description), I colored my bear with Copic Markers, and luckily found designer paper with both blues incorporated in it to use! 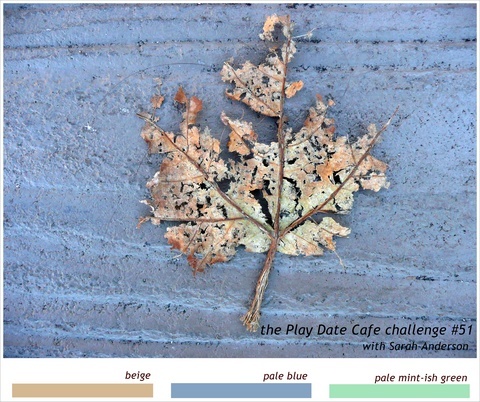 Lisa said "Creative Cuts & More is the Sponsor for this weeks Play Date Cafe Challenge. 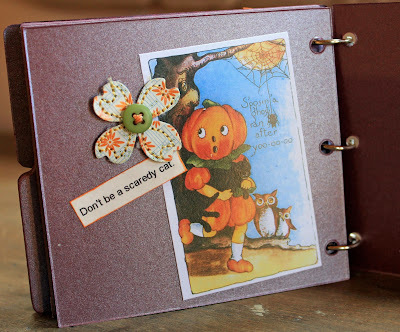 Grab your stamps and play along on the PDCC Blog***. The winner of this weeks Play Date Cafe Challenge will receive this FAB Holiday Treats Apron Kit, courtesy of Creative Cuts & More!" 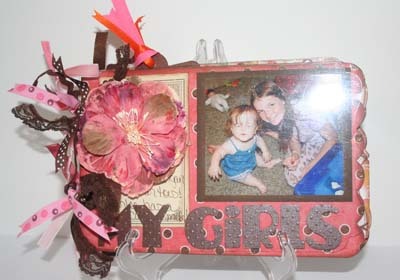 with some fab Die Cuts from Creative Cuts & More! Creative Cuts & More is the Sponsor for this weeks Play Date Cafe Challenge. 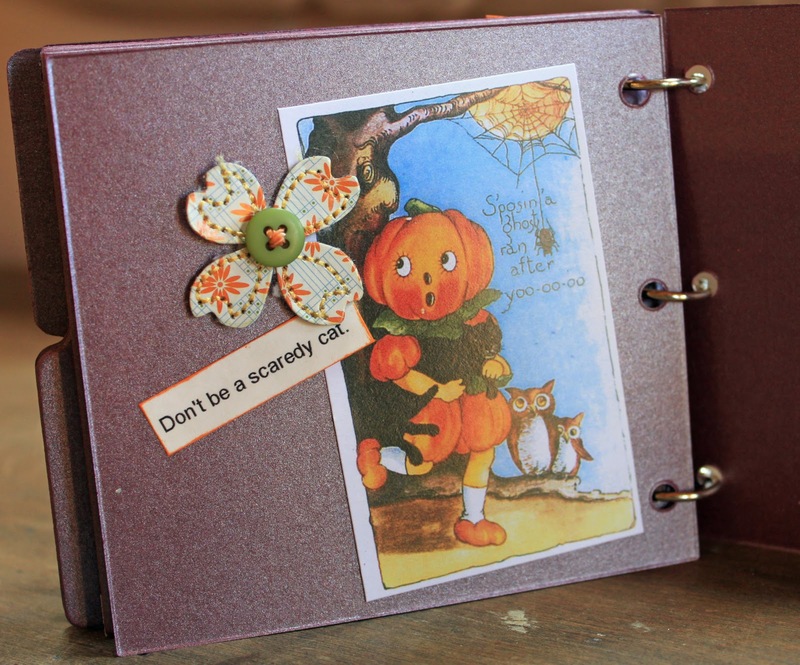 Grab your stamps and play along on the PDCC Blog***. The winner of this weeks Play Date Cafe Challenge will receive this FAB Holiday Treats Apron Kit, courtesy of Creative Cuts & More! 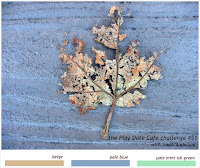 Here's this weeks PDCC Color Story. 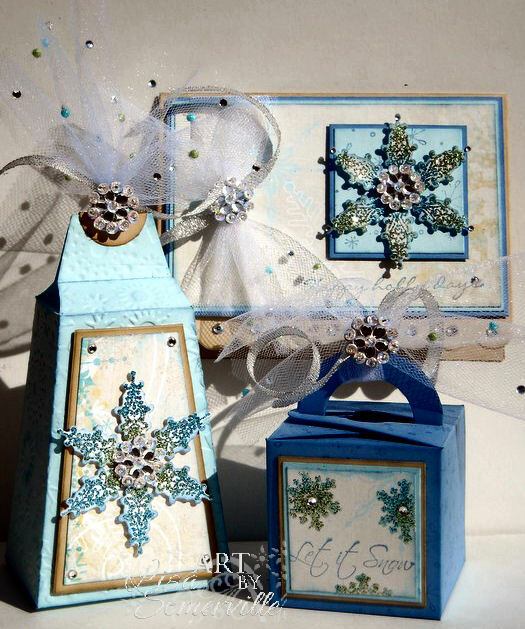 Below are the projects I created with this weeks colors, using the Bell Box, Box with Handles, and the Scallop Border A2 Card from Creative Cuts & More. 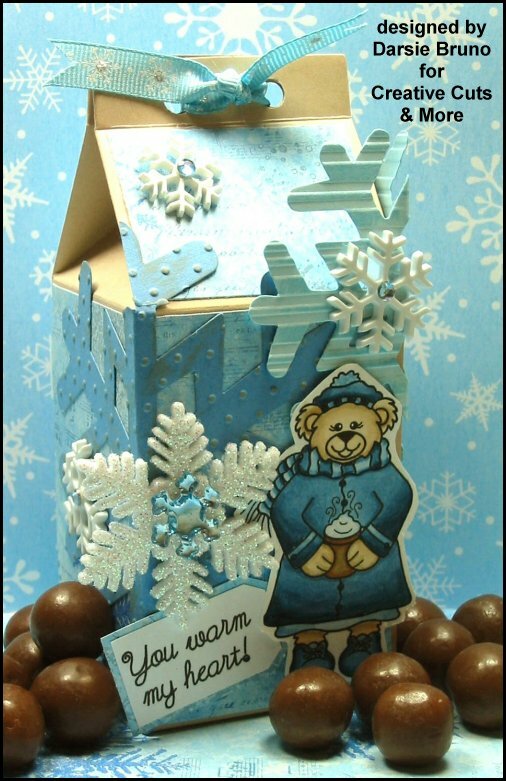 Stamps and die cuts from Heartfelt Creations Winter Wonderland Collection. Hello! It's Noelle posting today! I think Fall is finally coming so that means no more yard work and more scrappin' time! 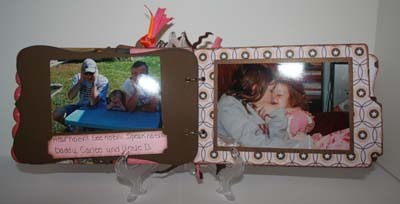 I am in love with mini albums! It is my new obsession! Now there is an easier way to put them together! Have you seen this?? It's Killer White Tear-able Tacky Tape - 1/4" IT ROCKS!!! I am using it like I used to use my ATG gun! It is SO CHEAP! At only 11 cents a yard you can use it all day long! It's HUGE! I really love this Mix and Match Album! I love that there are 4 different pages to choose from. I love the Tag Trio #1! 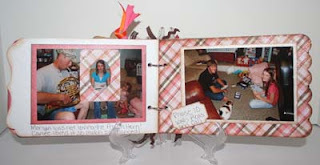 They are perfect for journaling in these coffee table books! I also really love this Antique Label! Gobble, gobble . . . .